Sunday night and everywhere across the country people are bummed about going back to work on Monday. Unfortunately, we didn’t see any sun this weekend as predicted by the weatherman. Now it looks like we’ll get sun on Monday while everyone is at work. So I pulled a photo out of the picture vault from a trip I made to San Antonio Texas a few years ago. I got thinking about sun and immediately thought of Texas fun. 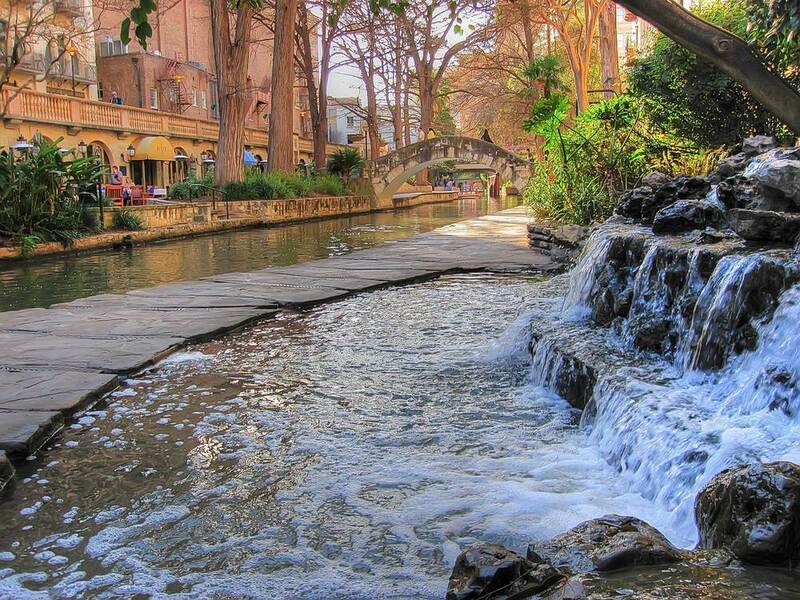 This was taken on the Riverwalk in downtown San Antonio. If you’ve been there before, you know what a wonderful place this is. Most people see the Riverwalk around the loop in the shopping, hotel and bar district. On this trip I also went for a number of runs towards the south along the river and got a chance to see some amazing neighborhoods with renovated old estates. If you haven’t seen this part of the Riverwalk, I highly recommend it. This photo was taken on the north loop of the Riverwalk near Omni Watermark Hotel and Spa. To purchase a print or view the entire picture gallery, please click the picture above.